Visit Save The Salt at the 2018 SEMA Show! Dave Davidson's 1934 “911” Ford highboy roadster powered by a 4,000+ HP engine and the Guthrie-Levie Racing 320MPH sidecar motorcycle will be on display with both teams available to talk serious speed with attendees. 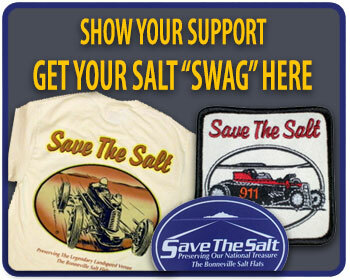 Thanks to the generosity of the Specialty Equipment Market Association (SEMA), Save the Salt will have 60-foot booth in the Central Hall along the wall at the 2018 SEMA Show in Las Vegas. 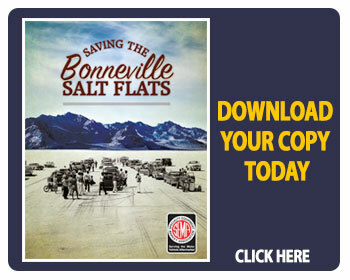 Attendees will have a chance to discuss why salt replenishment efforts at the Bonneville Salt Flats are at a critical juncture in order to save amateur land speed racing. 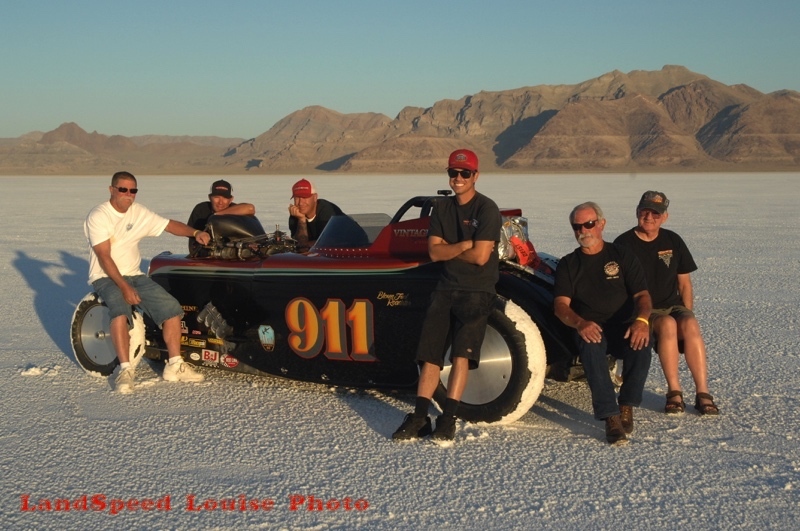 The 1934 “911” Ford highboy roadster with a 4,000+ horsepower engine hit 301-mph at the Bonneville Salt Flats. It is owned by Dave Davidson and his team includes John Beck and Donny Cummins. 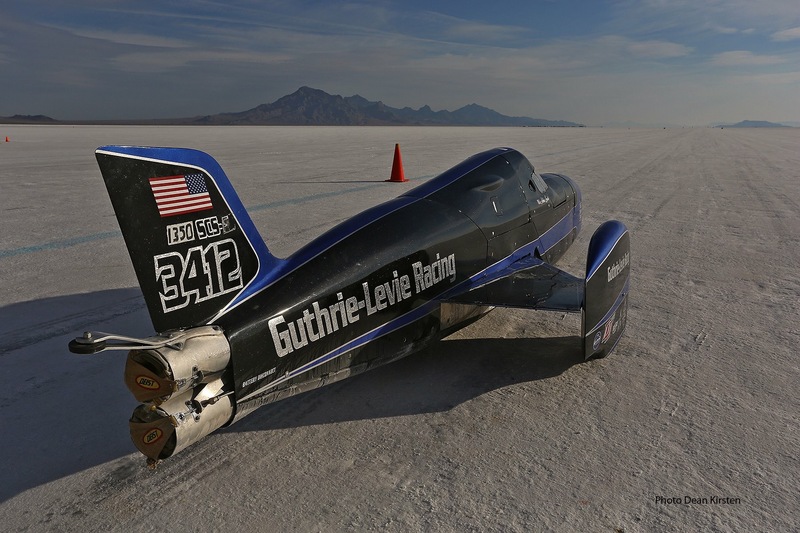 The Guthrie-Levie Racing sidecar motorcycle will also be on display—John Levie reached an incredible top speed of 320.304 mph in this unique vehicle. On Wednesday and Thursday meet owner/builder Rick Vesco and driver Dave Spangler of the Turbinator II, the first wheel-driven car to exceed 500 mph! They will be signing autographs from 11am to 3pm each day. 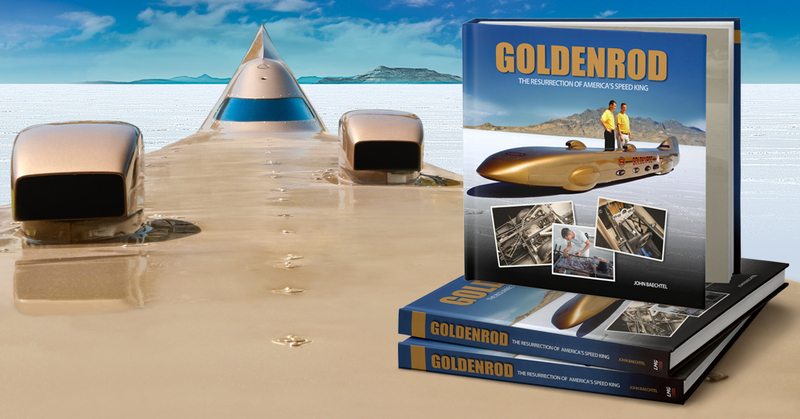 Visitors will have chance to bid on a one-of-a-kind chronograph Ball watch made specifically for Save the Salt and author John Baechtel has donated 5 copies of his new book "Goldenrod - The resurrection of America's Speed King" the help fundraising efforts.